A really quick speedpaint with a theme suggestion from Kevin Havens. Starting to warm-up to cs5's new painting engine. Love that I can actively soften an edge without having to paint a softened edge. This is great Mike. I had this up on my computer this morning when some coworkers were walking by. You've got some new fans in Columbus. The style is superb. It reminds me of Leyendecker. And that is the highest praise on the planet. Thanks all. 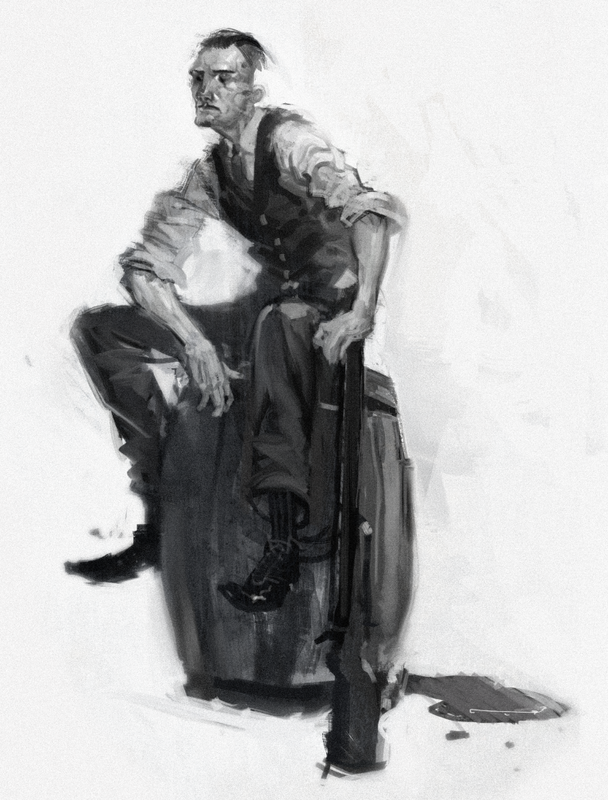 I'm pretty darn happy if people are getting Leyendecker vibes off of this.